Corinna will ensure that your event runs smoothly and is a huge success. 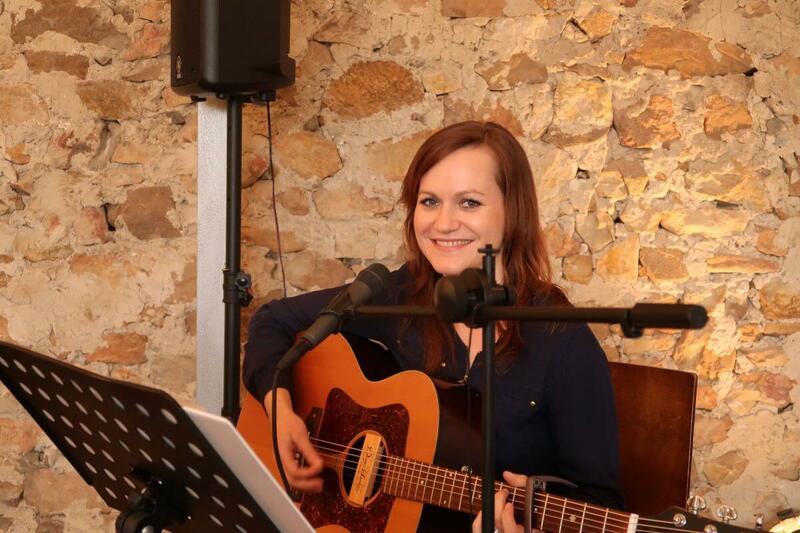 Corinna from Deviation Acoustic did a fantastic job at the 2018 NAFC Gala Luncheon held at the National Wine Centre. From her song selections to her soulful voice was the perfect match for our corporate function. The guests enjoyed her performance and I received all good feedback. She has a sensational voice and she is professional at the same time. I would highly recommend her for corporate events. Corinna was another lucky find, she is a lovely girl with a fantastic feel about her. She is sweet and her voice enchants the night. Music has been her life for a long time and she definitely knows how to bring that across! I have seen Deviation several times at various wineries…. every time just a delightful sound and perfect choice of songs. Can’t wait for Corinna to make an album! have a male and female vocalist and sax and trumpet players to add that extra layer to the music. Worth booking for your next event. the band members shone in their own genre, just awesome! Keep up the good work Circa 74!!! number one pick and they should be yours too! Hazim G.